Designed by USA custom knife maker, Steve Kelly, the Model 1 thumbstud is a modified coffin design and is made from 6al4v titanium. Each stud is precision machined to the highest industry standards. 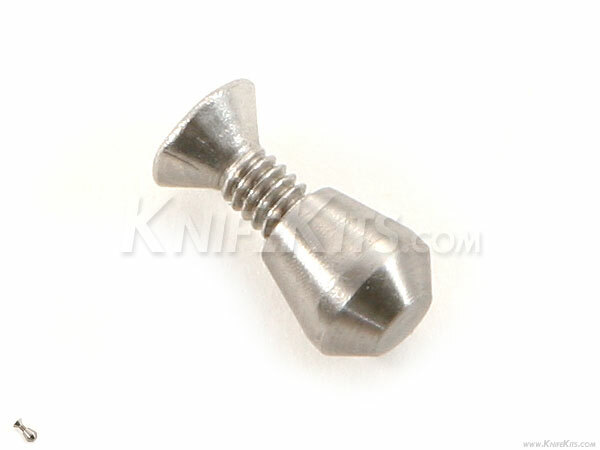 This model can be used as a single or dual thumbstud design. The diameter of each Model 1 stud is .188" and the height is .190". 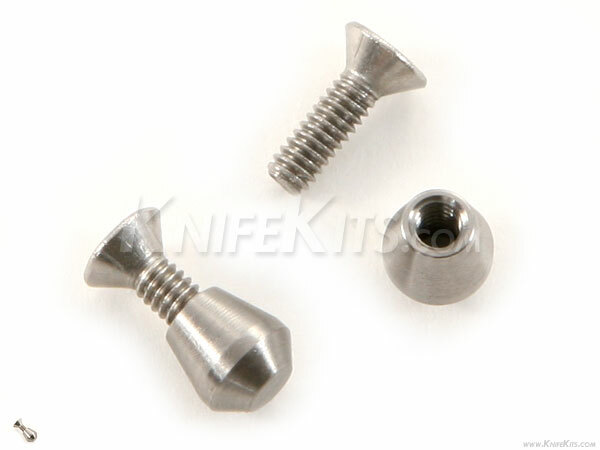 Note: Each Model (1) thumb stud comes with (1) 2-56 ss flat head screw.